Time value of money is an important concept in financial decision making. Wealth maximization goal recognizes this concept. According to this concept, all cash flows generated over the life of the project are discounted back to present value using required rate of return as a discount rate, and the decision is based on the present value of future returns. Wealth maximization objective also considers the risks associated with the streams of future cash flows. The risk is taken care of by using appropriate required rate of return to discount the future streams of cash flows. Higher the risk higher will be the required rate of return and vice versa. Shareholders wealth maximization objective provides a guideline for a firm’s decision making and also promotes an efficient allocation of resources in the economic system. Resources are generally allocated taking into consideration the expected return and risk associated with a course of action. The market value of the stock itself reflects the risk-return trade-off associated with an investor in the capital market. In other words, shareholder wealth, maximization considers the riskiness of the income stream. Therefore, if a firm makes financing decisions considering the market price of share maximization, it will raise necessary capital only when the investment ensures the economic use of capital. In the absence of pursuing the goal of shareholders wealth maximization, there is a danger of sub-optimal allocation of resources in an economy that leads to the inadequate capital formation and low rate of economic growth. Shareholders are residual claimants in earnings and assets of the company. Therefore, if shareholders wealth is maximized, then all others with a prior claim that shareholders could be satisfied. 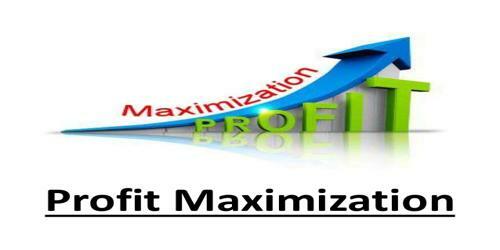 Wealth maximization objective uses cash flows rather than accounting profit as the basic input for decision making. The use of cash flows is less ambiguous because it represents means profit after tax plus non-cash outlays to all.